We are proud to be part-sponsor of the Nomad Trust Knight as part of the Lincoln Knights Trail 2017. Talented artists from across the UK are now busy painting their selected designs onto the life-sized Knight sculptures across the city, as part of the eagerly awaited Lincoln Knights’ Trail – a major Lincoln attraction for 2017. Organisers are encouraging local people and visitors alike to take the opportunity to see some of the artists in action as they bring the 35 Knights to life with just their paint brushes and creative imagination. Public painting of the Knights is now taking place at five locations until 3 March at; Waterside Shopping Centre (outside NEXT), St Marks Shopping Centre (next to Costa Coffee), Central Market, Ruddocks of Lincoln and Daisy Made in Skellingthorpe. The Lincoln Knights’ Trail is a Wild in Art event brought together by Lincoln BIG in partnership with Visit Lincoln and Education Business Partnership (EBP), in support of local homeless charity the Nomad Trust. It will form a mass participation art event in the city. The 35 sculptures, which have been sponsored by local businesses and organisations, will form a trail across Lincoln to create a fun, free, journey of discovery during the summer to commemorate and celebrate the 800th anniversary of the Battle of Lincoln and the Charter of the Forest. Following a call for artists back in September (2016), over 200 innovative designs were submitted. These designs were shortlisted down to 70 and the artists were given the opportunity to paint their design onto a miniature Knight sculpture. The 35 sponsors then had the job of selecting their favourite design, which are now being painted onto the full-sized Knights. The successful artists have until 3 March to transfer their designs onto the sculptures before they are officially unveiled to the media on 27 March in Lincoln’s Waterside Shopping Centre prior to their public installation on 20 May. Chief executive of Lincoln BIG, Matt Corrigan, said: “Lincoln BIG is very proud to be bringing another interactive public art event to Lincoln following the incredible success and popularity of the 2015 Barons’ Charter Trail, which brought £1m into the local economy. “We have had such incredible interest in The Knights’ Trail since we announced it was coming to Lincoln and individuals and businesses alike want to be a part of it. It’s a fantastic way to bring the city together and highlight two very important events in Lincoln’s history. Following the official launch each Knight will go ‘on tour’; being hosted by its sponsor to promote the forthcoming trail which will start on 20 May - 800 years to the day of the Battle of Lincoln - until 3 September. The Knights will then reunite at Lincoln Castle from 20 – 27 September, before being auctioned at Lincoln Cathedral on 30 September. Two-thirds of the money raised at the auction will go to the charity partner the Nomad Trust and one-third to create a new Art and Innovation Fund for the City. Lydia Rusling, head of Visit Lincoln, said: “2017 will see a bumper year of exciting events in Lincoln which everyone can get involved in and The Lincoln Knights’ Trail kicks that off. “The trail has been created for the city following the much-loved Barons’ Charter Trail - which was a major contributing factor to the 8% increase in tourism Lincoln has enjoyed since - and to bring Lincoln’s history to life in an engaging and accessible way. “The artists were given a brief to design artwork to celebrate not only the Battle of Lincoln and the Charter of the Forest, but also chivalry, the environment, heroes and heroines, whilst exploring the issues of homelessness. The Lincoln Knights’ Trail will be even bigger than the Barons’ with 10 more sculptures. 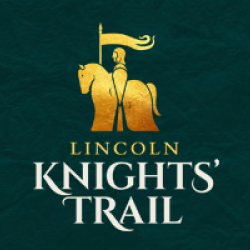 Not only are there more Knights to discover and enjoy but people following the trail will see even more of vibrant and historic Lincoln along the way. The Knights were designed and created by Wild in Art’s creative director Chris Wilkinson in the style of a chess piece and the sculpture is the ideal blank canvas to unite visual art and a celebration of Lincoln’s history. EBP is the official education partner of The Lincoln Knights’ Trail and the organisation will be giving over 30 primary, secondary and special schools across Lincolnshire the chance to get involved with their very own medium-sized Knight. Interested schools should contact EBP directly.